Are you looking for a new or more advanced railroad position? NARS can help take your career to the next level! Ready for an exciting new career in an industry looking to expand its workforce? NARS’ FastTrack program can prepare you for most entry-level railroad positions in just weeks. From conductors and locomotive engineers to supervisors, all current railroad employees can benefit from NARS’ flexible, top-quality training and courses available in person or online. 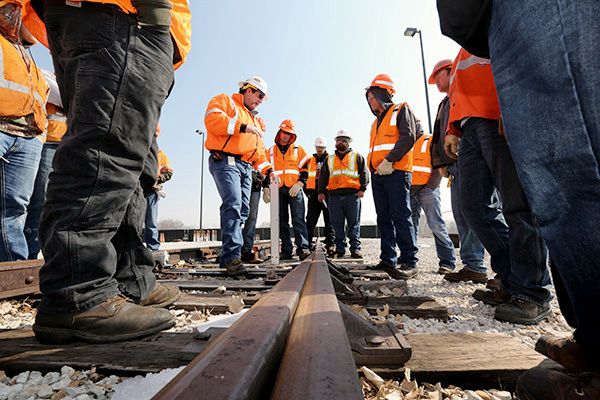 With the largest and most extensively equipped railroad job education facilities, NARS is uniquely qualified to provide hands-on training for virtually every industry craft. The rail industry’s only performance-improvement resource, NARS offers the best training at the best value.